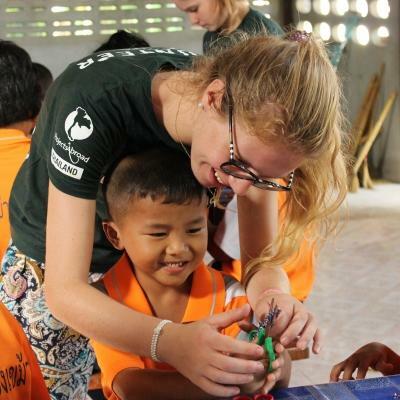 Volunteer as a teacher in Cambodia and work with disadvantaged children. 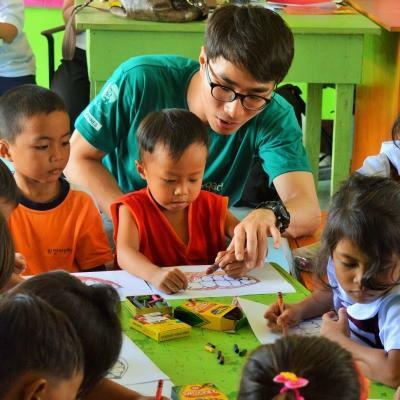 You will be placed in a kindergarten or elementary school run by one of our partner NGOs. This is a great way to get practical teaching experience in a classroom setting. 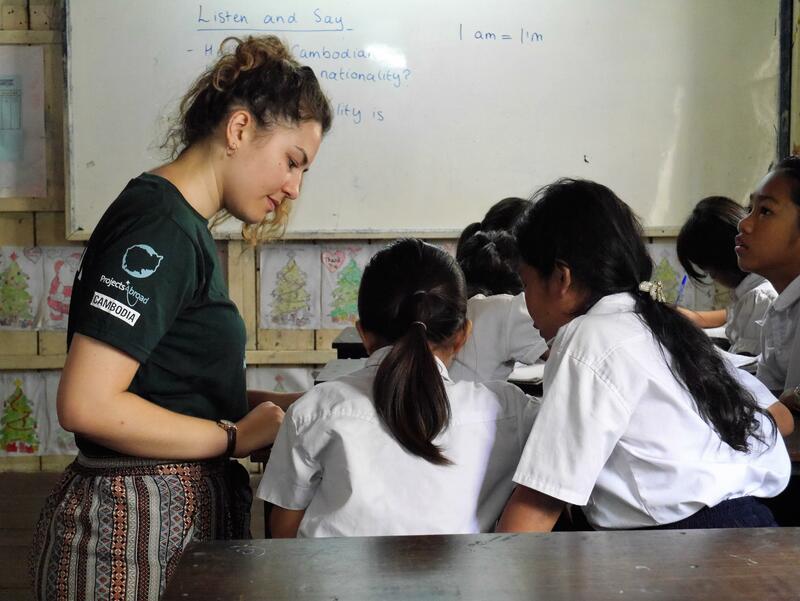 The skills you learn in a Cambodian classroom will help you pursue a career in teaching. Skills like planning and management can also be applied to other career paths, and are valuable additions to your resume. Pursuing a career in teaching? Contribute to the practical side of your studies by working in a classroom on a daily basis. Get to know the children and implement your training in the lessons you teach. 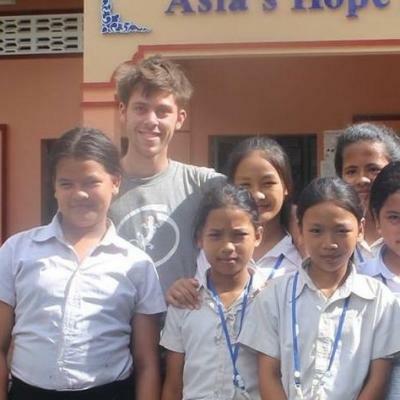 Add this teaching work experience in Cambodia to your resume for an extra edge. The English language has fast become one of the most spoken languages worldwide. 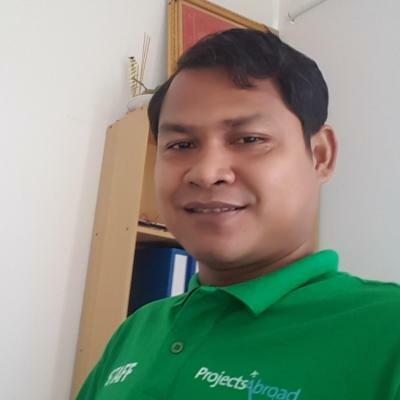 Since it is used widely across business and media channels, it is important for Cambodians to learn English from a young age. Their fluency in the language will provide them with better employment opportunities as they get older. 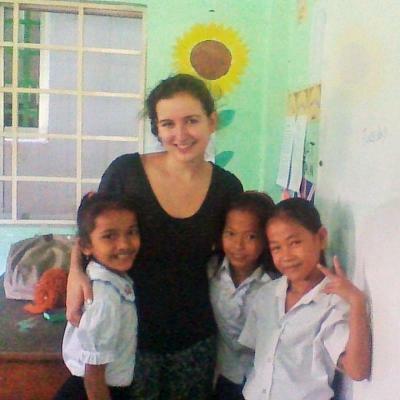 As a volunteer teaching English in Cambodia, you’ll play an important part at your placement. Depending on their current skill level, you’ll teach them basic English words such as colors, numbers, and ABCs. You can play role-play games that encourage the children to talk in English and improve their confidence. You can also take your lessons outside of the classroom when organizing activities for the children. Get their bodies moving during a sports class. You can work on their locomotor skills such as balance, throwing, kicking, running, skipping, jumping and more. 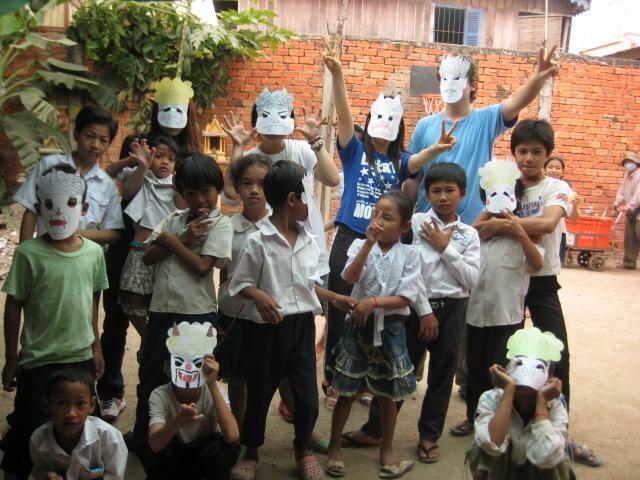 Off the sports field, many of the children may be more creatively inclined. Some children enjoy the soft tunes from musical instruments or the vibrant colors and crafts they can make during art class. 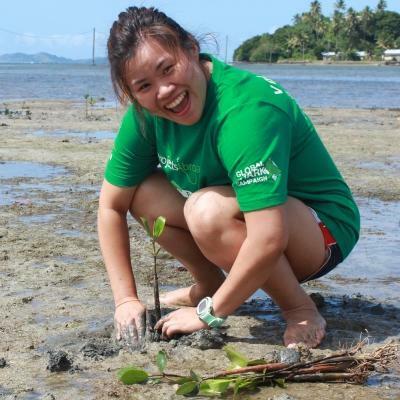 You’ll be able to see a different side to the city as you volunteer in disadvantaged areas. Here families struggle to feed and educate their children. 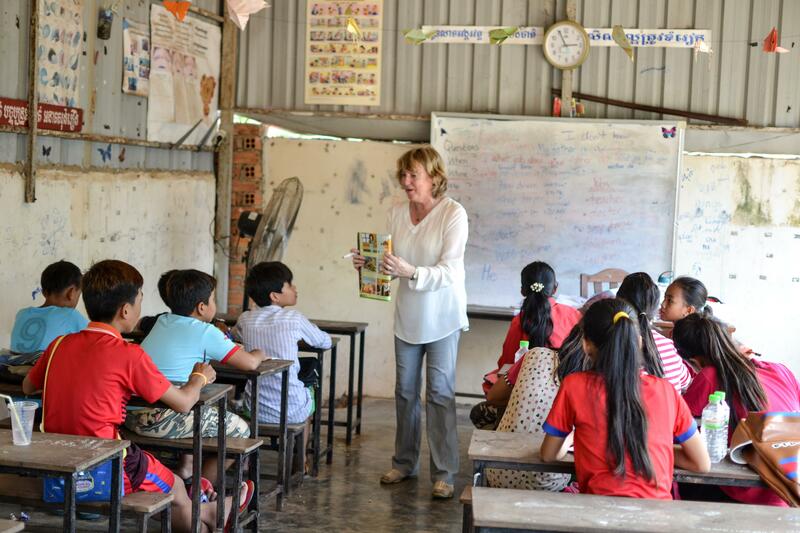 You’ll teach at one of our partner NGO schools which are open to families in need. They subsidize the children’s meals and provide them with free schooling that complements the state curriculum. You’ll start teaching at 9am and end around 4 or 5pm, Monday to Friday. The moment the children see you, you’ll hear a chorus of “teacher, teacher” and be pulled towards the classroom. 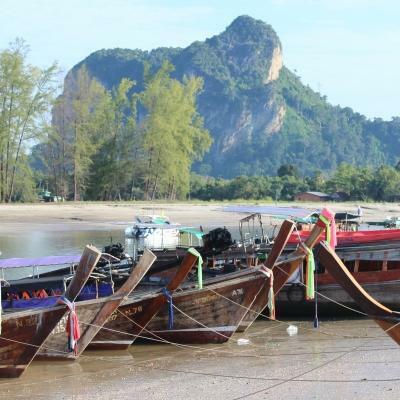 Depending on your placement, you might teach basic English lessons or organize music, art or sports classes. To avoid the midday heat, you’ll head back to the apartment at 11am. 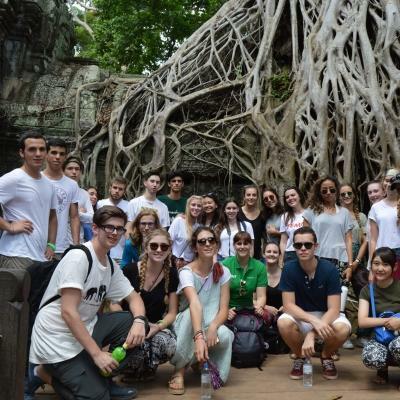 You’ll enjoy a stir fry lunch and plan your lessons before heading back to the school at 3pm.